On Sunday history was made, not on the wrestling mats, but on the golf course. Tiger Woods’ -13 under par at Augusta National earned him the 15th major championship of his illustrious career and his fifth Masters title. It broke a long major-less drought that dates back to June 16th, 2008 the last time he won the US Open. Personal problems, swing changes, and a series of back injuries derailed his career and made most people question whether he would ever be able to play at an elite level again, much less win a major championship. After Tiger brought it all full circle and pulled off one of the most remarkable comebacks in sports history, we at The Open Mat wondered how this can relate to wrestling. Well, lets go back in time and look at the landscape of the wrestling world as we knew it June 16th, 2008. These are some of the notable happenings in the wrestling world in 2008 and in some cases, how much things have changed since that point. 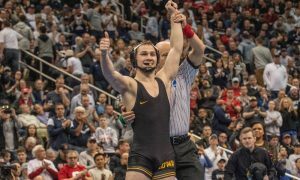 – Iowa won the first of three consecutive NCAA team titles by outdistancing Ohio State 117.5 to 79. It was their first team title since the 1999-2000 season. – Brent Metcalf (Iowa) won the Hodge Trophy after winning his first NCAA title and prevailing in the greatest NCAA bracket of all-time. 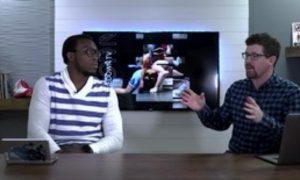 – Jordan Burroughs (Nebraska) had just got onto the NCAA podium for the first time when he was third in Metcalf’s 149 lb bracket. – Phil Davis (Penn State) became the first NCAA champion for Penn State since Jeremy Hunter in 2000. Since that time 12 different Nittany Lions have combined to win 23 NCAA titles. Davis was also PSU’s first four-time All-American since Sanshiro Abe in 1996. Since then they have had eight. – There had not been an NCAA Championship team from the East Coast since Penn State won in 1953. – At this time the only four-time NCAA Champions were Pat Smith (Oklahoma State) and Cael Sanderson (Iowa State). – 2008 was right in the middle of a five year period, between 2005-09, where there was only one freshman who won a DI national title (Dustin Schlatter in 2006). We have had eight freshmen national champions going back the last five seasons from 2019. – The highest freshman finisher at the 2008 NCAA Championships was Mack Lewnes (Cornell) who was fourth at 165 lbs. The highest seeded freshman at the tournament was Kellen Russell (Michigan), who had the third seed, but fell in the Round of 12. Other freshman All-Americans were Mike Grey (Cornell – 6th at 133), Jon Reader (Iowa State – 7th at 165), James Nicholson (Old Dominion – 8th at 125), and Kirk Smith (Boise State – 8th at 184). – The DI NCAA tournament in 2008 had only seeded 12 wrestlers per class. In 2013-14 they would move to 16 and this season all 33 qualifiers were seeded. – The Olympics would be held later this year. Our Olympic teams were in Men’s Freestyle: Henry Cejudo (55 kg), Mike Zadick (60 kg), Doug Schwab (65 kg), Ben Askren (74 kg), Andy Hrovat (84 kg), Daniel Cormier (96 kg), and Steve Mocco (120 kg). Greco Roman: Spenser Mango (55 kg), Jake Deitchler (66 kg), TC Dantzler (74 kg), Brad Vering (84 kg), Adam Wheeler (96 kg), Dremiel Byers (120 kg). Women’s Freestyle: Clarissa Chun (48 kg), Marcie Van Dusen (55 kg), Randi Miller (63 kg), Ali Bernard (72 kg). – The DI conferences had a very different look to them as the CAA, East Region, and West Region now no longer exist for wrestling purposes. 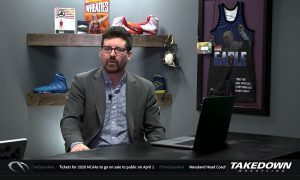 – Maryland was in the ACC; Nebraska and Missouri were in the Big 12; Rutgers was in the EIWA, Binghamton, Campbell, Drexel, Old Dominion, Hofstra, Rider, and Sacred Heart were in the CAA, Pittsburgh and West Virginia was in the EWL. – The following schools had DI wrestling programs: Boise State, Boston, Cal-State Fullerton, UC Davis, Delaware State, Duquesne, Eastern Michigan, Liberty, Portland State, UNC Greensboro, Wagner. All have since been eliminated. – In July of 2007 it was announced that Oregon would be dropping their wrestling program at the conclusion of the 2007-08 season. The Ducks final two NCAA qualifiers, during the 2008 season, were 133 lber Ryan Dunn and 285 lber Charlie Alexander. Dunn had stunned the eventual NCAA champion Coleman Scott (Oklahoma State) earlier that season, but fell to Scott in the second round of the NCAA Tournament. 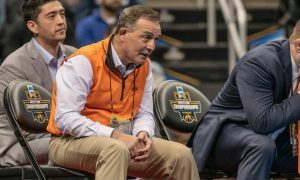 – A month before golf’s US Open in June, Arizona State had announced that they would be dropping their wrestling program. Ten days later the school announced that they would bring the program back. 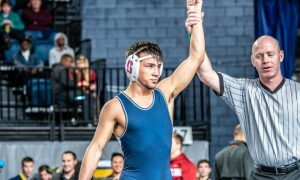 – East Stroudsburg and Millersville both competed at the DI level, East Stroudsburg in the EIWA and Millersville in the EWL. Both now compete at the DII level. – SIU Edwardsville and Utah Valley had not transitioned into DI programs yet. – The wounds were still fresh at Fresno State as the school had dropped their program after the 2006 season. – Future MMA stars TJ Dillashaw – Cal-State Fullerton (133 lbs), Chad Mendes – Cal Poly (141 lbs), Darrion Caldwell – NC State (149 lbs), Bubba Jenkins – Penn State (149 lbs), Lance Palmer – Ohio State (149 lbs), Gregor Gillespie – Edinboro (157 lbs), Chris Honeycutt – Edinboro (184 lbs), Phil Davis – Penn State (197 lbs), Jared Rosholt – Oklahoma State (285 lbs) were all in competition at the 2008 NCAA Championships. – In 2008 former DI wrestlers Rashad Evans (Michigan State) and Brock Lesner (Minnesota) won their first UFC Championship belts. – Cael Sanderson was in his second season as head coach at Iowa State and the Cyclones finished tied for fifth in the country with Oklahoma State. Both had 72 points. – Just 18 DI head coaches have held the same job since June of 2018. – Some of the notable coaching changes that occurred in the offseason of 2008 were Pat Santoro from Maryland to Lehigh, Kerry McCoy from Stanford to Maryland, Jason Borrelli from an assistant at Central Michigan to Stanford, and Mark Branch from an assistant at Oklahoma State to Wyoming. – Six current DI head coaches were getting ready to compete collegiately during the 2008-09 campaign. Kyle Borshoff (American/Binghamton), Neil Erisman (Oklahoma State/Little Rock), Troy Nickerson (Cornell/Northern Colorado), Kyle Ruschell (Wisconsin/Chattanooga), Zach Tanelli (Wisconsin/Columbia). – Minnesota had just inked the top-ranked recruiting class which consisted of Jake Deitchler, Atticus Disney, Ryland Geiger, Mario Mason, Matt Mincey, Cody Yohn. 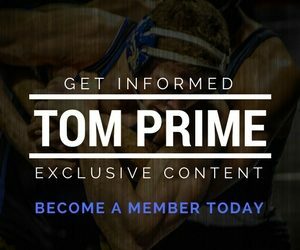 – The top ten recruits in the country were Jason Welch (California), Scott Winston (New Jersey), Mario Mason (New Jersey), Alex Meade (Delaware), Michael Mangrum (Washington), Tyler Graff (Colorado), Jordan Oliver (Pennsylvania), Nate Moore (Iowa), Jake Deitchler (Minnesota), and Brian Roddy (Ohio), per Intermat. – The 2008 Tulsa Nationals featured such weight classes as: 8 year old 61 lbs; 1st – Spencer Lee (Pennsylvania), 4th – Shane Griffith (New Jersey), 6th – Ryan Reyes (California). 10 year old 58 lbs; 1st – Austin O’Connor (Illinois), 2nd – Nick Suriano (New Jersey), 3rd – Jack Mueller (Texas), 6th – Josh Heil (Ohio). 12 year old 80 lbs; 1st – Dean Heil (Ohio), 3rd – Joey McKenna (New Jersey), 4th – Geo Martinez (Colorado), 5th – Jake Danishek (Ohio). – Campbell was in the midst of a streak between 2003-2009 where they did not have a single NCAA qualifier. The Camels only scored four points and finished in ninth-place at the SoCon Championships. – In 2008 Missouri only had one NCAA Champion and one four-time All-American in the history of the program (Ben Askren). Since then four wrestlers have won six NCAA titles and two more four-time AA’s have been added. – NC State had only two NCAA qualifiers and finished fifth in the six-team ACC. – Penn State had finished just seventh place in the Big Ten, however they rebounded to take third at the NCAA Championships. It was the highest finish by a Penn State team since 1994. – Princeton was in the middle of a span between 2006-09 where they did not have a single NCAA qualifier. They scored 10.5 points at the EIWA Championships and finished behind East Stroudsburg and Franklin & Marshall. It was the second year of Chris Ayres’ coaching tenure. 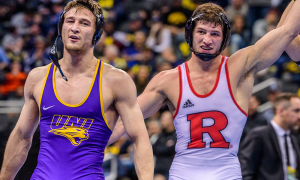 – Scott Goodale just finished his first season at Rutgers where they won a single match at nationals and had two NCAA qualifiers. At the EIWA Championships they had scored only 29.5 points and finished in 11th place. – South Dakota State (along with North Dakota State) was in their second year at the DI level. The Jackrabbits did not have a single NCAA qualifier and were only able to generate 14 points at the West Regional qualifier. 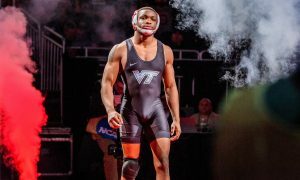 – Virginia Tech had only produced six wrestlers that combined to All-American seven times. Since that time 16 wrestlers have combined to get onto the NCAA podium 31 times. – A pair of schools that are trying to break a Tiger-like All-American-less streak in 2019-20 are Army West Point and Chattanooga. Both had their last AA at the 2008 NCAA Championships. Army West Point’s was 141 lber Matt Kyler and Chattanooga’s was also a 141 lber, Cody Cleveland. 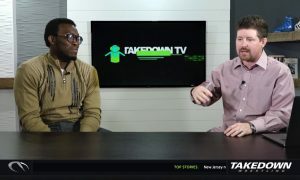 – Along the same line of thinking Indiana and Pittsburgh both had their most recent NCAA Champion in 2008 with Angel Escobedo for the Hoosiers and Keith Gavin for the Panthers. Both are currently head coaches at their alma mater. – During the 2008 season, Gavin was the only DI wrestler to finish the season unbeaten. 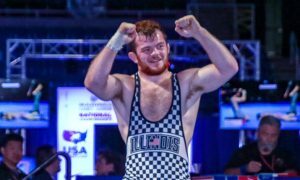 In 2019 we had four wrestlers accomplish the feat (Yianni Diakomihalis, Anthony Ashnault, Jason Nolf, and Bo Nickal). – Since this time there have been 22 DII teams that have been added or reinstated. 25 DIII teams have been added or reinstated. The NAIA has added or reinstated 44 teams since then. – As of the 2007-08 season there were only five women’s collegiate programs in competition. In 2008-09 Jamestown, King, Lindenwood, and Missouri Baptist all got underway. Currently there should be 56 women’s program’s competing in the 2019-20 season. – Both Ashnault and Jordan were in the 2008 NCAA 133 lb bracket. No, Anthony isn’t that old. It was his brother Billy, who was at Lock Haven and Nebraska’s Kenny Jordan. Kenny was of no relation to the Jordan clan out of Ohio which produced 2019 NCAA runner-up Micah. – Kyle Snyder was only 12 years old.